What’s every couple’s favorite holiday? Valentine’s Day of course! Now what better way to show how you feel about each other, than with conversation heart t-shirts. These are the perfect customizable shirts for you and your partner to show off together. The best part about them is that they are tie-dye! Grab your partner and let’s get started. 1. 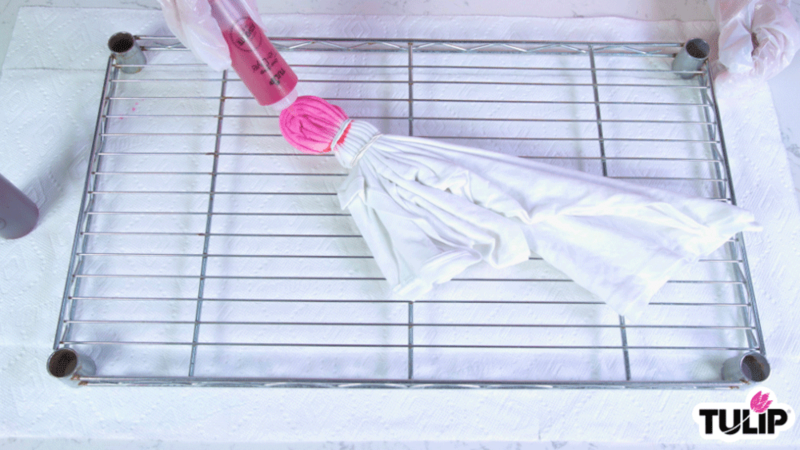 Lay out damp shirt and smooth out wrinkles and fold the shirt in half length wise. 2. 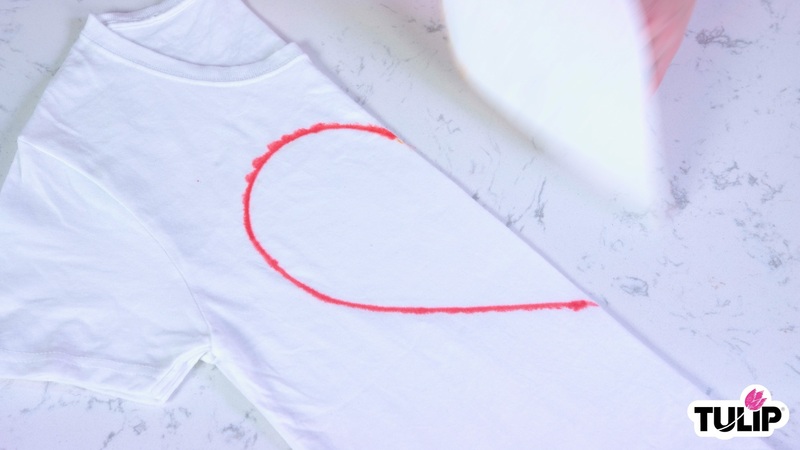 Use a washable marker to draw half heart shape along the fold. 3. Pleat along marker line and bind with rubber band. 4. Put a small amount of mixed Fuchsia dye into a spare dye bottle. 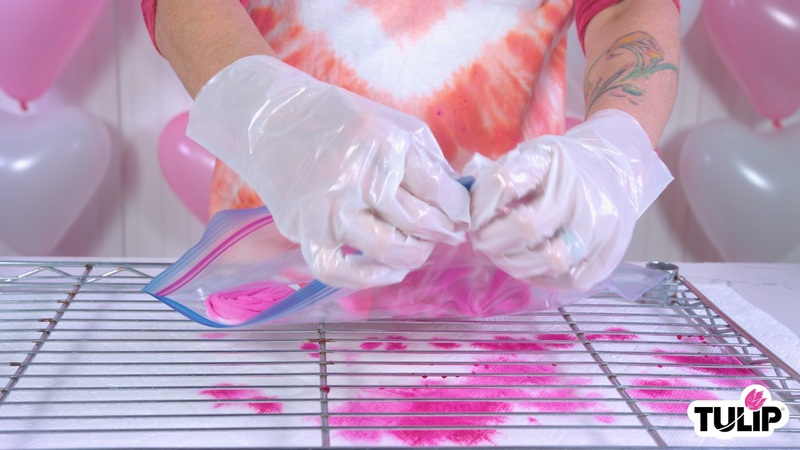 Fill with water and test on a paper towel until desired shade is achieved, adding more dye or water as needed. 5. Apply diluted dye to tied heart section. 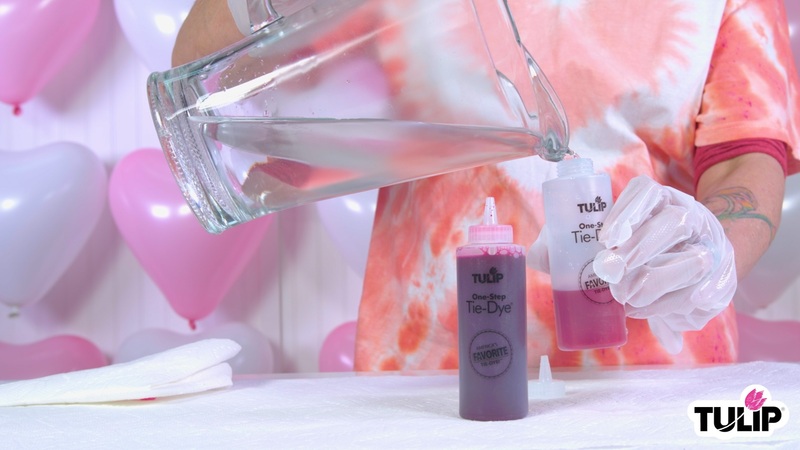 Then apply full strength dye to body of shirt and accent with leftover dilute dye. 6. 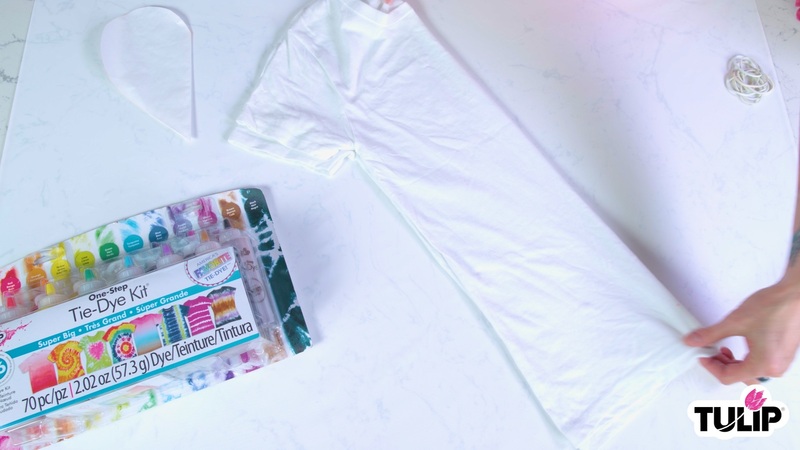 Put shirt into a Ziploc bag for about 4 hours then remove shirt from Ziploc. 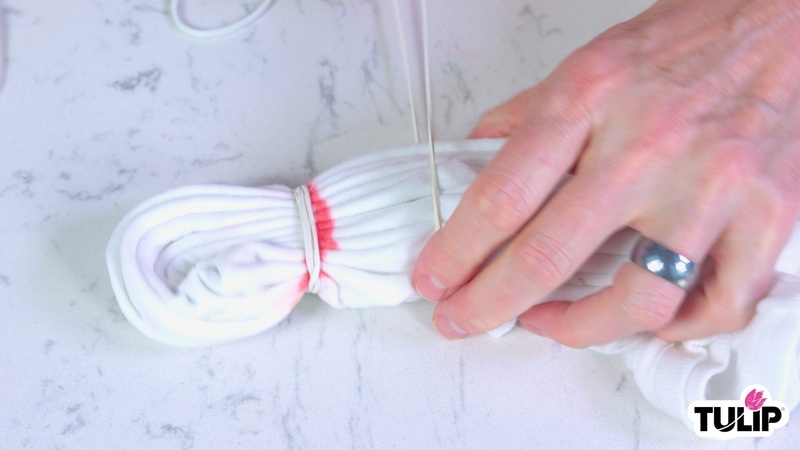 Cut the rubber bands then place it in washer and dryer. 7. 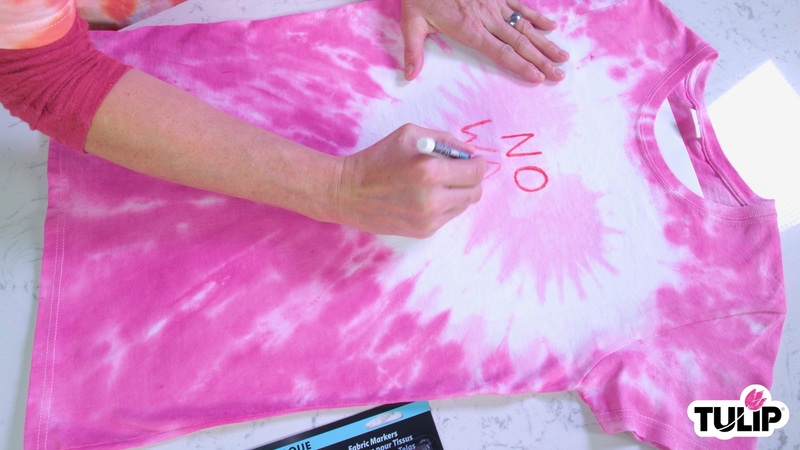 Insert a piece of card stock into shirt and apply desired words with Opaque marker. If you don’t have plans for Valentine’s Day, this project is perfect for a stay-at-home date! But if you’re feeling those Anti-Valentine’s Day vibes, then here’s a look for you to rock! We get it, not everyone get into the lovey-dovey vibes, but that’s okay. 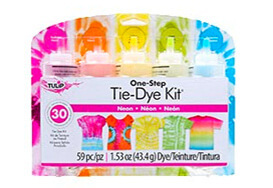 You’ll still look good in your tye-dye!